The race in the 5th Congressional District is close, according to a an independent poll released on Wednesday. 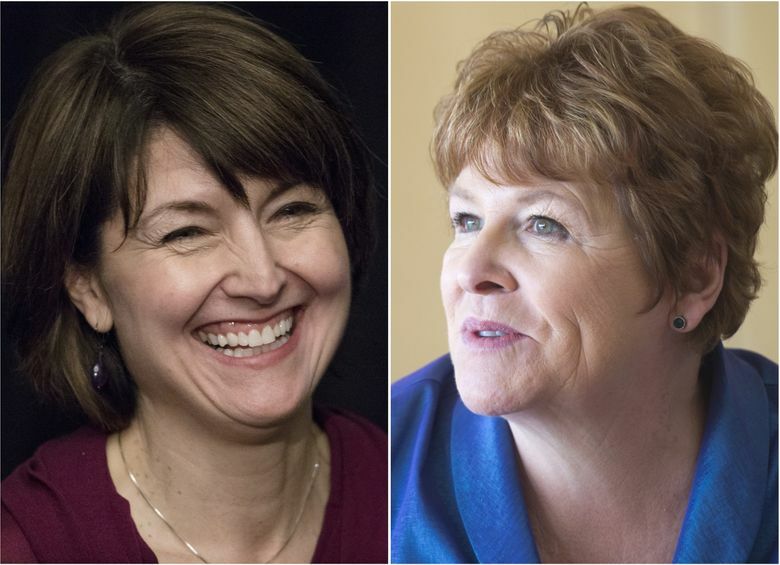 SPOKANE — Republican U.S. Rep. Cathy McMorris Rodgers has a narrow lead over Democrat Lisa Brown in the first independent poll in their race for the U.S. House seat representing the Spokane region. The independent poll released on Wednesday showed McMorris Rodgers leading Brown by 44 to 38 percent. But the poll has a margin of error of 5 percent, meaning the result could be within the margin. The poll found 16 percent of voters were undecided and 3 percent preferred another candidate. McMorris Rodgers has romped to easy victories in her seven previous races. The Elway poll of 403 voters was conducted between April 4-7 and commissioned by The Spokesman-Review, KHQ-TV, The Walla Walla Union-Bulletin, Spokane Public Radio and The Lewiston Tribune.